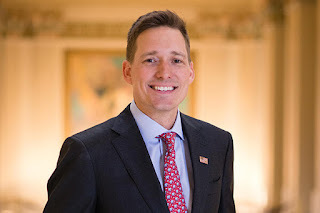 Oklahoma City – Republican lieutenant governor candidate Matt Pinnell announced today an endorsement from former Oklahoma Republican Party national committeeman and long time activist Lynn Windel from Ardmore. “As legislators ready for another legislative session, it reinforces to me how important this 2018 election cycle is. Working with Matt at the Republican National Committee, I’ve had the experience of knowing and working closely with him. When I heard he was running for Lieutenant Governor, I couldn’t have been more enthusiastic to endorse Matt Pinnell for Lieutenant Governor,” said Windel. Pinnell formerly served as the Oklahoma Republican Party State Chairman and recently served as the National State Party Director for the Republican National Committee, overseeing all 50 states. Matt Pinnell lives in Tulsa with his wife Lisa and their four children, where they run a small business. Learn more at www.MattPinnell.com.